This is not a band. L’Etat Libre de Neige is an early music collective, a constellation of musicians in which we may explore ideas in productions, workshops and bespoke happenings. L’État Libre de Neige is also an early music ensemble. 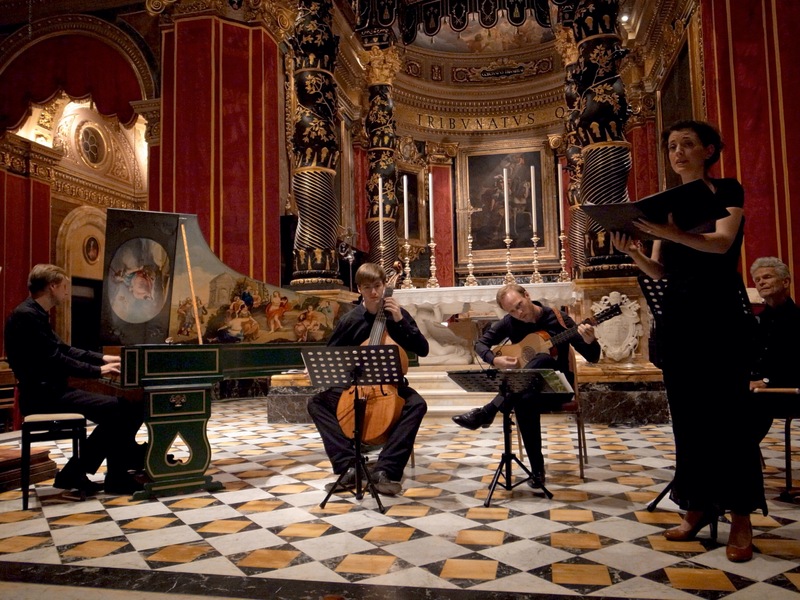 It has a flexible crew, depending on the projects, but all players are dedicated early music specialists. The ensembles ambition is to explore and to challenge commonplace aspects of performance practise, to collaborate with expertise throughout Europe, and to create touching and beautiful concerts. We started out as a quartet named Mormorio in 2003, but later we found inspiration in having a flexible group with soprano Cathrine Bothner-By, lutenist Ulrik Gaston Larsen and harpsichordist Lars Henrik Johansen as core members. The new name – the free state of snow – refers to our ideals about collectivity and improvisation, and letting competent and inspired musicians fully use their knowledge and creativity in this free state of ours. An early music collective could be an appropriate description. Since then we have been playing in Norway, Sweden, Germany, France, Malta and Brasil; entertained diverse audiences, royalties and companies; and done recordings both for commercial sale and scientific documentation. Flexibility being a key concept for us, we often do tailor-made projects for particular contexts and audiences. Festivals, public institutions, private companies and other organizers have asked us to create special happenings, and we are always happy to do this, believing that a clear focus related to a spesific context enhances the experience of the music. This is a review of one of our concerts: Truly unique!